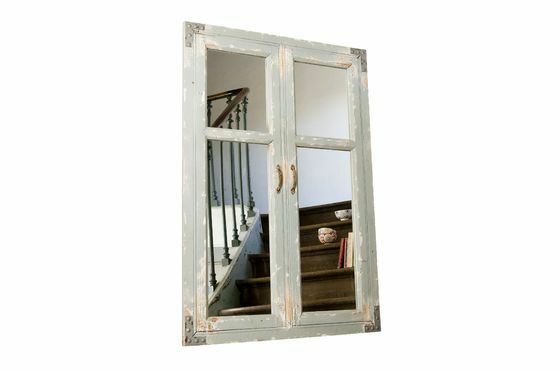 The refined mat grey finish, from the riveted braces right up to the end of the handles, make this Sweet Window mirror a unique model (each piece really is unique) that will add serious cachet to your room. 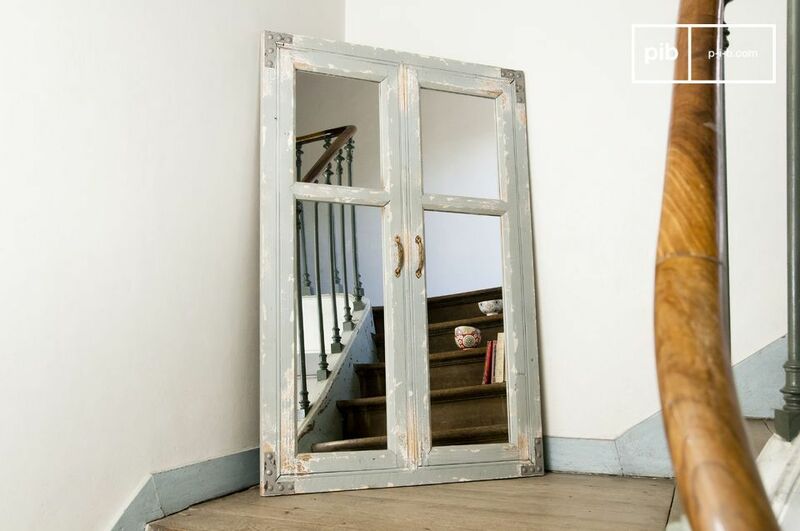 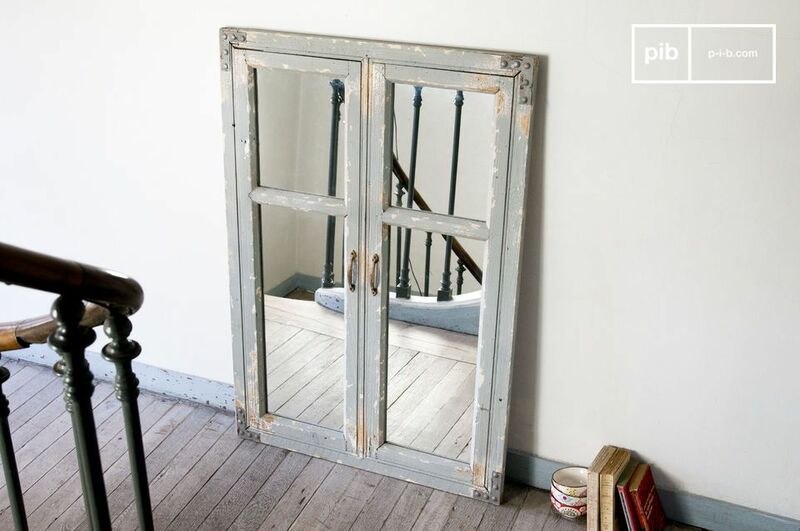 This shabby chic mirror will leave no-one indifferent, whether you use it to add depth to a corridor, increase the light in a bedroom or living room, or create a vintage look for a bathroom. 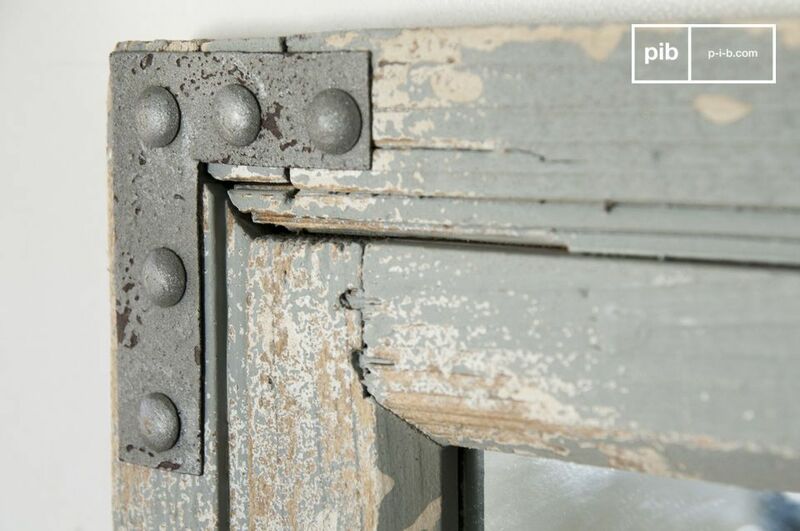 As for the reclaimed style, we love that at PIB. 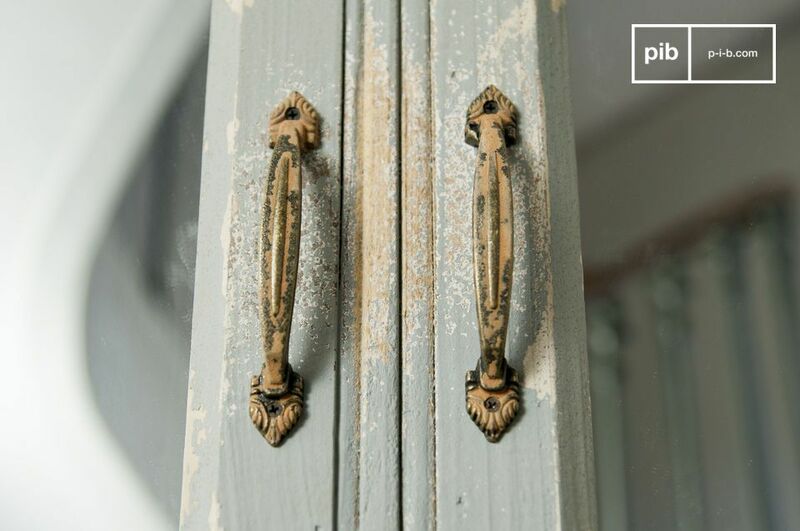 While the brass handles are merely decorative, the impression of an extra window is definitely real.